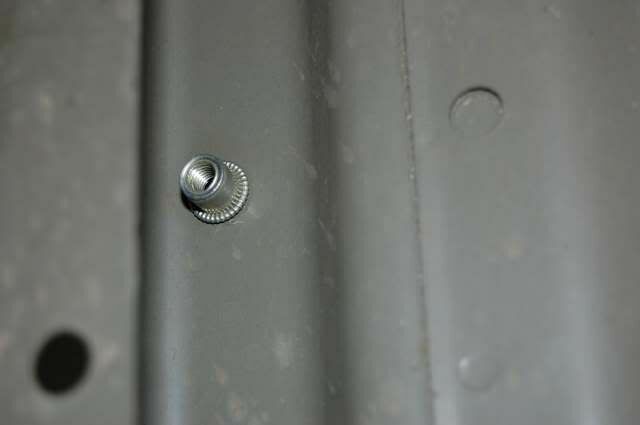 Bolt some brackets up to the top of your wheel arches and put some sealer around them so no moisture will get under your liner then put bolts from inside the top edge of your box to the brackets on your wheel arches. 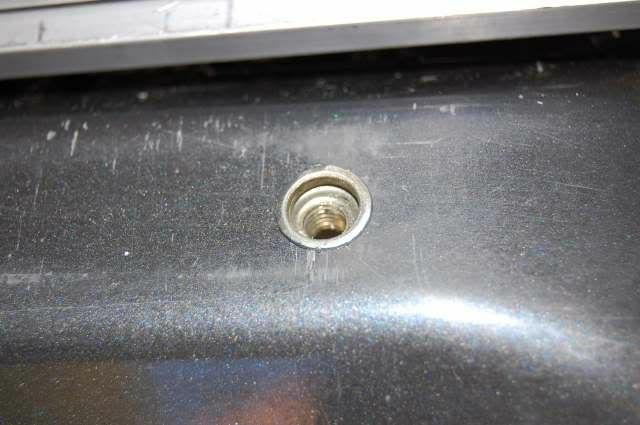 You could burr the threads on the bolts holding the bracket to the wheel arch so they can't be unbolted and screw your bolts from inside the toolbox to threads in the brackets. That should keep honest theives out. I have become a big fan of nutserts but that won't help with your tray liner. If you want to remove it easilly, bolt it to the front of the tray up high inside the box and bolt a piece of angle iron on the outside of the box at the base and bolt through it. That's basically how my 100 litre water tank is attached and it does not move. Rod, I have been looking for those things for ages. Where abouts fo you get the nutsets and the tool? How much torque can your put into the bolt before the nutsert rotates, any idea? I've been advised that the tub liner has clearance underneath it so that water ingress will be cleared. So I dont think that'll be an issue. Now I just need to find a way of fixing a bracket to the tub. Rivets are always an option. 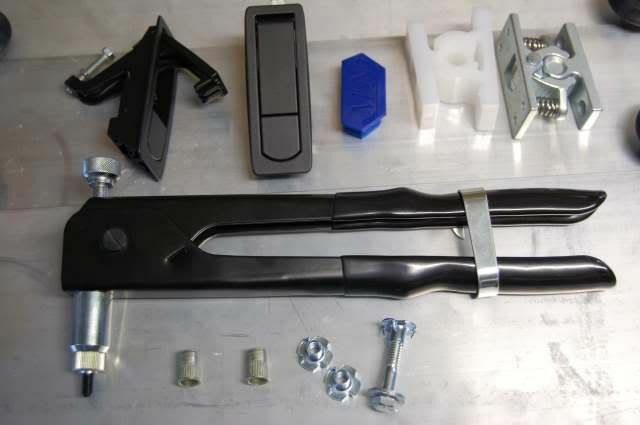 Advel have another product called a Versanut that is designed for softer materials, so I could use that in favour of rivets, meaning I could take the bracket off..
Actually now that I think about all this. Because of the blind side nature of these things, I could bolt the tub to the wall fo the tub (Closest to the cabin) and bolt it to that. That means I could bolt straight through the tubliner and tub (Zero space between tub and liner) and it wouldn't cause me grief with being on the floor. Makes organising the brackets really easy. Thanks heaps guys, Rod if you could just let me know where to get the gear, that'd be Tops. lockable tie downs and or screw bracket to the box and fix it with a few short chains and padlocks. Might even get away with fixing something to the existing metal brackets, with a simple hook on chassis?